Mankading has been a subject of discussion at the ongoing edition of the Indian Premier League (IPL). It all started after Ravichandra Ashwin controversially ‘mankaded’ Jos Buttler during one of the earlier IPL matches this season. Many believed the dismissal went against the spirit of the game, but some – including Ashwin himself – were okay as it came within rule books of the sport. 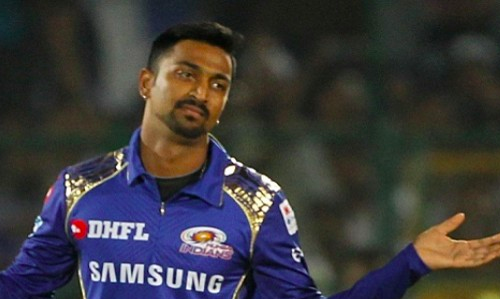 Now, Mumbai Indians’ Krunal Pandya attempted to do the same to Chennai Super Kings captain MS Dhoni… just that he chose the spirit of the game over the controversial way of dismissing the batsman. Not that it would have been out though. Replays showed Dhoni’s bat was well inside the crease, meaning even if Krunal would have dislodged the bails, the former would have been not out. Commentator Sanjay Manjrekar was quick to point out Dhoni’s shrewdness after the incident. “Right instincts for Dhoni. The bat was inside… the ball was in the scene. He does most things right. Just out of instincts, with Dhoni very rarely will you see him do something that is incorrect,” he said. This is not the first time Krunal has issued a mankad warning to a batsman. During Mumbai Indians’ match against Kings XI Punjab this season, the lef-arm spinner did the same to Mayank Agarwal, who was well out of the crease.